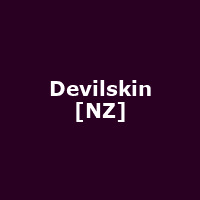 Devilskin are a four-piece alternative metal band from Hamilton, New Zealand, formed in June 2010. The band features Jennie Skulander - vocals, Nail - guitar, Paul Martin - bass/ backing vocals and Nic Martin - drums. They released their debut album, "We Rise" in 2014 which toppped the New Zealand album chart. They released the follow-up album, "Be Like the River" in 2016.